Hiatal hernia or hiatus hernia, just like gallbladder disease, can happen with any age, but is a common condition often experienced by older individuals. Statistics show that it affects as many as 60% of people by the time they reach 60 years old. Hiatal hernia can also be developed by people who are obese or pregnant, just like gallstones and other biliary problems. Hiatal hernia and gallbladder disease even share a lot of common symptoms. Those similarities are the reasons why we get a lot of inquiries about the nature of hiatal hernia and its likelihood among gallbladder patients. In this article, we will be presenting the nature and mechanism of hiatal hernia, its list of symptoms, causes, and treatment. We will also be discussing dysphagia (difficulty swallowing) among hiatal hernia patients and our recommended hiatal hernia diet. A hiatal hernia occurs when a portion of the stomach pushes up through the diaphragm. The diaphragm is a large muscle that helps us breathe. It normally lies on top of the stomach, separating the abdomen and the chest. The diaphragm has a small opening called hiatus that serves as a passage way by which the esophagus goes through before connecting to the stomach. Ligaments and membranes seal off spaces between the hiatus and the esophagus. However, a number of factors may cause the swallowing muscles to become inelastic, weak, or strained. This causes unintended backflow. When the stomach bulges up through the opening, food and acid may back up into the throat leading to discomfort, heartburn or esophagitis. Usually, small hiatal hernias are not much of a problem and self-care such as a better diet and chiropractic adjustments can alleviate the symptoms. A chiropractor can sometimes manipulate a hiatal hernia back into position. 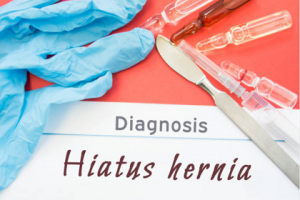 Large hiatal hernias, on the other hand, may affect day to day living. And aside from inconvenience, may also cause pain as well as a number of complications. 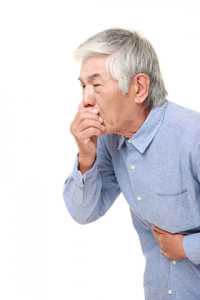 Are Hiatal Hernia Symptoms considered an Emergency? These must especially be observed by individuals with high blood pressure, history of heart disease, or ones suffering from other related conditions. Technically, there are four types of hiatal hernia. Ninety-five percent (95%) of hiatal hernia cases are type 1. Sliding hiatal hernia, also called concentric or axial hiatal hernia, happens when the upper part of the stomach slides through the hiatus. Fixed hiatal hernia, on the other hand, is more serious. It happens when the stomach pushes up the hiatus and stays there. It develops right next to the esophagus and may cause blockage of blood flow to the stomach. Type 2 hiatal hernia may lead to cell death and tissue damage and is considered a medical emergency. 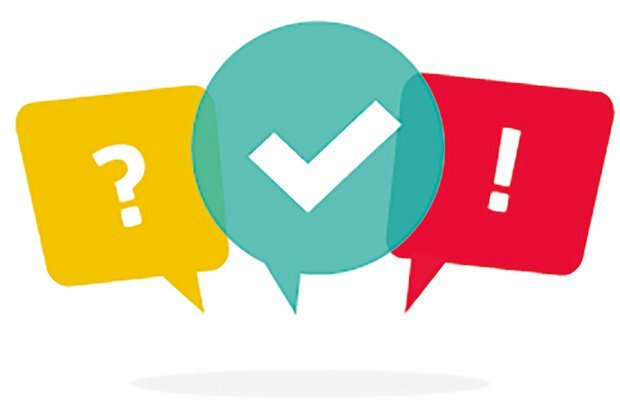 Some of our gallbladder patients who also have a hiatal hernia have asked if there is a connection between gallbladder diseases and hiatal hernia. According to current research, is no study that definitely links the two conditions. There is a condition called the Saint’s triad characterized by the simultaneous occurrence of gallstones, hiatal hernia, and colonic diverticulosis. However, the cause and mechanism of Saint’s triad is not yet fully understood. There are other studies proving that neither the presence of gallstones or cholecystectomy pose a risk for the development of hiatal hernia. So, no obvious connection. Their link to GERD – It is common for individuals with hiatal hernia to develop GERD and for GERD conditions to develop a hiatal hernia. This poses the question of whether or not either could be diet related. Similarly, gallbladder patients often suffer from GERD or GERD-like symptoms. Their link to Barret’s esophagus – Related to the first item, Barret’s esophagus is a serious complication of GERD. According to studies, most patients with Barret’s esophagus have hiatal hernia. Similarly, a number of research prove that gallstones increase the prevalence of Barret’s esophagus. Also, the presence of bile mixed with acid in esophageal reflux, as in bile reflux, more commonly leads to Barret’s esophagus than does acid alone. Given these findings, both gallbladder and hiatal hernia patients are at risk of developing abnormal esophageal cells. Many of our gallbladder patients are either maintaining our 30-day protocol or are regularly taking their supplements to keep symptoms at bay. As such, difficulty swallowing all those capsules is a concern for a number of individuals. Incidentally, some of them are also suffering from hiatal hernia. Why does that happen and what can you do about it if you are experiencing the same? Difficulty swallowing, also known as dysphagia, is one of the hallmarks of hiatal hernia. And the worse the hernia gets, the more dysphagia becomes a concern. Due to repeated acid exposure of the esophagus and its supporting membranes, dysmotility as well as impaired contractility and vigor can happen. Moreover, the acid pocket within the hernia may lead to the inflammation of the mucosa and can turn to the formation of a fibrotic stricture that can develop into an obstruction. Any or all of these are possible reasons why it is difficult to swallow when you have hiatal hernia. 1.Dividing food or medicine into small portions. 2.Drinking water or more viscous fluid together with your food or medicine. 4.Various head positions (leaned forward, tilted back, or to the side) while swallowing. However, I always warn about patients about the long-term effects of these. Medications that disrupt the normal GI acidity can definitely affect digestion, gut microbiota, and immunity. Long-term use may lead to conditions like SIBO, leaky gut, and many more. Moreover, not all acid reflux-like symptoms can be addressed by antacids. In fact, excessive acid is often not the problem. Rather, it is the other way around. 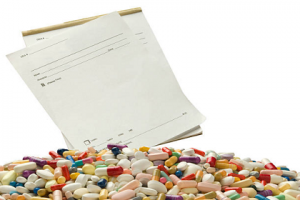 To read more about the disadvantages and possible long-term effects of PPI usage, click here. Sometimes, a big hiatal hernia may require surgery. This can be done via insertion of a single incision through the chest wall or the use of laparoscopic surgery. Hiatal hernia surgery involves pulling the herniated or blocked stomach down into the abdomen or removing the hernia sac and then making the hiatus smaller. Part of lifestyle modification for hiatal hernia management is the careful selection of food. Changing your diet can definitely help with your symptoms. Aside from that, meal sizes, frequency, and timing is crucial. Overeating is a big no-no. It would be helpful if you eat smaller meals several times a day, and only when you are hungry. Also, avoid snacking or eating big meals a few hours before bedtime. For those with gallbladder symptoms and hiatal hernia, you may also refer to our gallbladder diet page for an extensive list of good and bad foods. What’s good for the gallbladder will also definitely be good for patients with hiatal hernia. Also, since any food sensitivities cause local inflammation, doing the allergy-provocation diet to discover what these are and cutting them out is highly advised. At the moment, there are no available natural supplements for hiatal hernia itself. However, we can recommend Zinc-Carnosine Complex with PepZin GI – 120 ct to help with the management of symptoms like acid and GERD. Zinc carnosine supports the body’s natural healing process as it recovers from ulcers and gastritis. If there is inflammation present, this supplement can also help with its reduction. To help your body cope with stress, try Premier Max B-ND. This may help you boost your brain power, improve your mood, and support your natural detoxification by strengthening the liver. 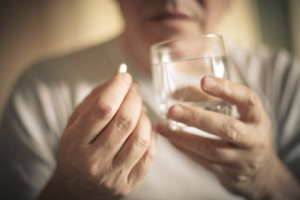 Lastly, if your doctor has prescribed PPIs or NSAIDs, zinc carnosine can help protect your GI tract from damaged caused by these medications. Avidan, B., Sonnenberg, A., Schnell, T. G., & Sontag, S. J. (2001). No association between gallstones and gastroesophageal reflux disease. The American journal of gastroenterology, 96(10), 2858. Braghetto, I., Csendes, A., Korn, O., Musleh, M., Lanzarini, E., Saure, A., … & Valladares, H. (2013). Hiatal hernias: why and how should they be surgically treated?. Cirugía Española (English Edition), 91(7), 438-443. Cameron, A. J. (1999). Barrett’s esophagus: prevalence and size of hiatal hernia. The American journal of gastroenterology, 94(8), 2054. Che, F., Nguyen, B., Cohen, A., & Nguyen, N. T. (2013). Prevalence of hiatal hernia in the morbidly obese. Surgery for Obesity and Related Diseases, 9(6), 920-924. Kaul, B. K., DeMEESTER, T. R., Oka, M., Ball, C. S., Stein, H. J., Kim, C. B., & Cheng, S. C. (1990). The cause of dysphagia in uncomplicated sliding hiatal hernia and its relief by hiatal herniorrhaphy. A roentgenographic, manometric, and clinical study. Annals of surgery, 211(4), 406. Philpott, H., & Sweis, R. (2017). Hiatus Hernia as a Cause of Dysphagia. Current gastroenterology reports, 19(8), 40.